City DPRD's Banggar, officially opened a meeting along with the City TAPD to discuss a refund of any remaining capital injection (PMD) in the BUMD.
" 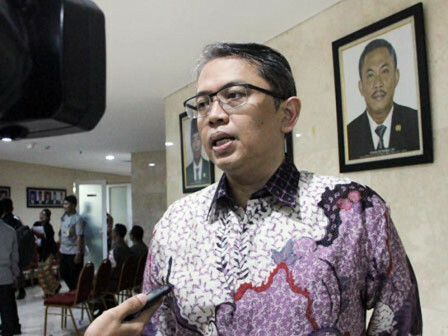 We want TAP to coordinate with related BUMD about refund of any remaining capital injection (PMD)"
City DPRD's Banggar Vice Chairman, Triwisaksana stated, in the meeting, TPAD was asked to coordinate with the related BUMD before returning the remaining PMD funds to the regional treasury. "We want TAP to coordinate with related BUMD about refund of any remaining capital injection (PMD)," he expressed, Wednesday (11/14). He explained that several BUMDs that are currently in the process of returning the remaining PMD funds to the regional treasury. They are PT Jakpro, PD Pembangunan Sarana Jaya, and PDAM Jaya. From Rp 1.8 trillion, Rp 650 billion of them is still under the process of returning to regional treasury. According to him, the refund can be allocated to the upcoming 2019 APBD. Thus, residents can benefit from the PMD refund. "It will be used later for regio nal expenditure programs that need a lot of budget," he stated.